A good number of businesses are struggling in terms of growth. This can be attributed to a variety of factors for example economic conditions. However, most are suffering from what we could call “lead generation” problems. Most sales personnel have reached the end of the line because they believe they’ve hit the limit of people and businesses to sell to. A further misconception that sales is simply cold calling as many people as you can doesn’t help matters at all. According to a 2015 Demand Generation Benchmark Report by HubSpot, most industries except the financial one recorded a similar volume of traffic per month (10,000-50,000 visits). Nonetheless, an inbound marketing ROI calculator can simplify the process of establishing exactly how many leads a business needs to be successful in its marketing efforts. Based on revenue targets, the calculator assess the number of lead volumes to aim for. This is literally where a page does not tell the first time visitors what to do next. And if they do, they don’t offer reasonable steps. This can be defined by crowded landing pages with numerous options, auto playing audio and videos, among others; simply a lot of confusion and poor design. Not delivering what the visitor used to find the page in the first place. A disconnect between what the visitor is looking for and what they are being offered. This is simply failure to talk the talk and walk the walk by leaving no indication that the company knows its stuff or the industry at large. Another reason why visitors don’t convert is running a one-way website that does not encourage any form of interaction or show interest in engaging with web visitors or capturing their personal information. There are many more reasons for failure out there but we can all agree that in the world of Inbound Marketing, it’s all about the leads. Usually, the website should be the hardest working sales person. But while we could sit here and talk about how lead generation is a science or a process or whatever, it’s the essence of the marketing funnel. 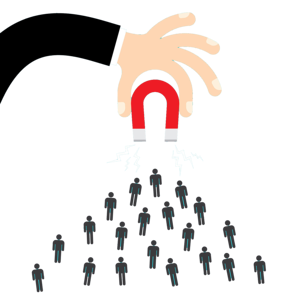 As such More in Store, the leading marketing agency in Halifax Canada, has come up with 30 Greatest Lead Generation Tips, Tricks, and Ideas. If you are a marketer, business person, blogger, or whoever, this guide is your yardstick to generating more high quality sales qualified leads. Download a free copy to great lead generation.